A trusted and valued family owned company, R & S has been providing stylish storage solutions since 1993. Visit our original Pearl River showroom, as well as our expanded second showroom in Monroe, which feature gorgeous cabinetry for all rooms of your home – kitchen, bath, office, media, and more – from such sought after manufacturers as Omega and Kitchen Craft. We pride ourselves on offering our clients unsurpassed personal service, high quality cabinets, and affordable price points. The R & S team recognizes that your home is a reflection of your taste and lifestyle. 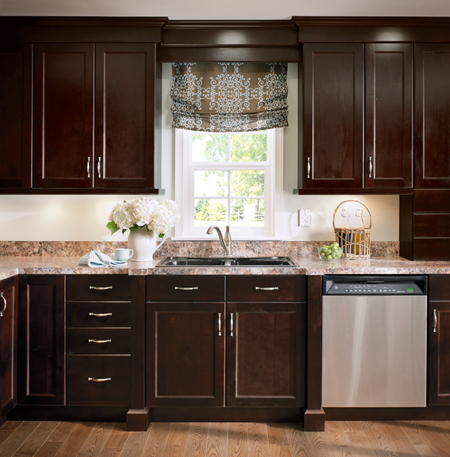 So we work with you side-by-side to make sure your cabinetry expresses your unique personality. Be it traditional, modern or Country French, we’ll help you select cabinets that will transform your space from ordinary to extraordinary. R & S is proud to be one of the top Omega dealers in the USA and holds an A+ rating from the Better Business Bureau. We like to think both have something to do with the expert personal attention and services we strive to provide (such as complimentary design, computer illustrations, build measuring and color consultations) and the top-notch products we sell. Maybe it’s because we care about each and every customer like they are members of our own family. Whatever the reason for these honors, you can trust that when you retain R & S, you get experienced, caring and trusted cabinetry professionals. We don’t just sell cabinetry, we provide a lifestyle. Stop by one of our showrooms today and see how we can make your dreams a reality. All we ask is for the opportunity to earn your business. R & S Cabinet Brokers – THE source for cabinetry in the Rockland County and Orange County NY area, including the towns of Nyack, Nanuet, Spring Valley, Pearl River, Montebello, Piermont, Suffern, Orangetown, Tappan, Spark Hill, Haverstraw, Monroe, Woodbury, Warwick, Chester, Goshen, Washingtonville, Middletown, Minisink, Slate Hill, Campbell Hall New York (NY).